A fracture is a condition in which there is break in the continuity of the bone. In younger individuals, these fractures are caused from high energy injuries, such as in a motor vehicle accident. In older people the most common cause is a fall breaking weak and fragile bone. Fractures of proximal tibia: A proximal tibial fracture is a break in the upper part of the shin bone or tibia. 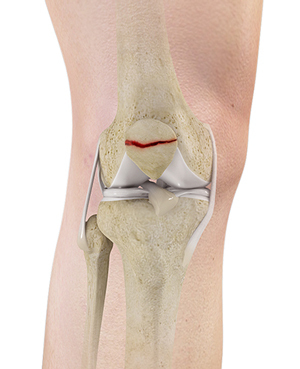 Proximal tibial fractures may or may not involve the knee joint. Fractures that enter the knee joint may cause joint imperfections, irregular joint surfaces, and improper alignment in the legs.This can lead to as joint instability, arthritis, and loss of motion. These fractures are caused by stress or trauma or in a bone already compromised by disease, such as cancer or infection. Proximal tibia fractures can result in injury to the surrounding soft tissues including skin, muscle, nerves, blood vessels, and ligaments. Tibial shaft fractures: A tibial shaft fracture is a break tha toccurs along the length of the tibia or shin bone (larger bone of the lower leg) between the knee and ankle joints. These fractures can occur while playing sports such as soccer and skiing. Diagnosis is made through your medical history, physical examination, and other diagnostic imaging tests. X-rays are taken to know whether the bone is intact or broken. X-rays are also helpful to know the type and location of fracture. Your doctor may also recommend a computerized tomography (CT) scan to assess the severity of fracture. Treatment options include non-surgical and surgical. Non-surgical treatment involves the use of casts and braces. Surgery involves either internal fixation or external fixation. Intramedullary nailing: In this procedure,a specially designed metal rod is placed into the marrow canal of the femur oir tibia. Then the nail is passed on to reach the fracture site and keep it in place. The rod is secured in place with screws at both ends. 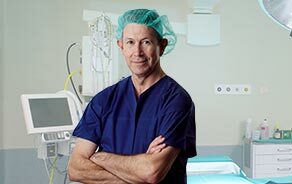 During the procedure, metal pins or screws are inserted into the middle of the femur and tibia and are attached to a device outside the skin to hold bone fragments in place to correct alignment and allow healing. External fixation is most often used if your bone is fractured in many pieces to maintain the overall shape and length of the bone in place while it heals. In severe case, the bone fragments are removed and the bone is replaced with a knee replacement implant.